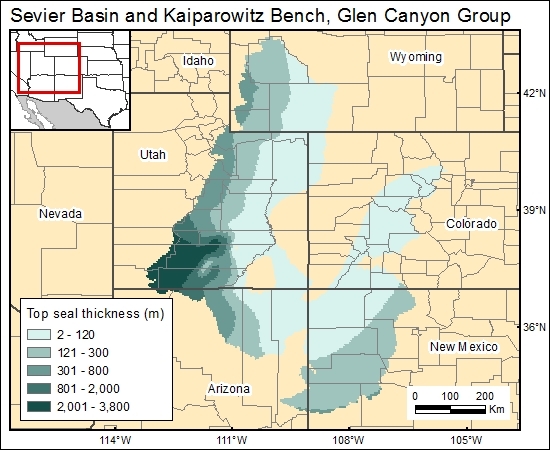 The most detailed maps of top-seal thickness (isopach of the Carmel–Twin Creek confining unit) were presented by Freethey and Cordy (1991). However, their map covers only the east half of Utah and does not include the Sevier Basin. Regional maps of the Carmel Formation (Kocurek and Dott, 1983), however, suggest that the top seal is equally thick in western Utah.